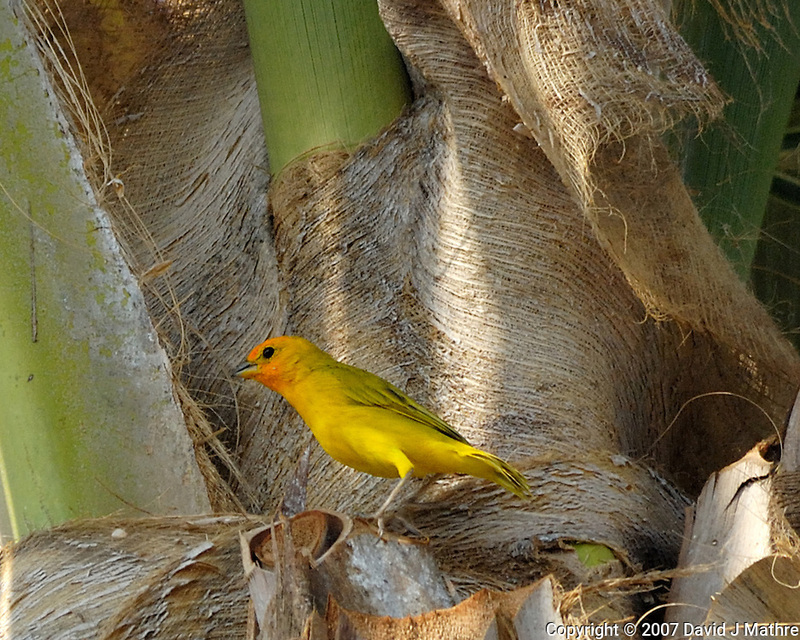 Saffron Finch in a Palm Tree. Kona, Hawaii. Image taken with a Nikon D2xs and 80-400 mm VR lens (ISO 400, 400 mm, f/8, 1/640 sec).